Chad was born in Jacksonville, Florida. He learned at a young age his passion for mechanics and from there enrolled in a diesel mechanic program and also general mechanics. 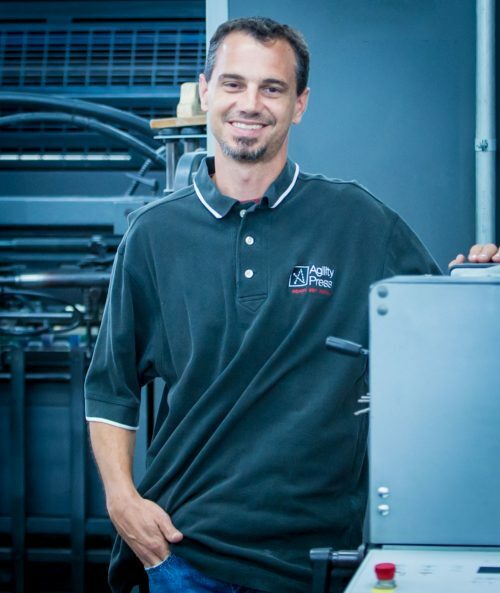 He started working on printing presses and in 1995 realized that he actually enjoyed printing on the presses he repaired and since then has been a quality pressman for 21 years. Chad is qualified to run a wide range of presses. Chads hobbies are playing the guitar and riding motocross. His biggest accomplishments in life is his wife Kim which he has been married to for over 20 years and his 4 children. Chad is also very active in his community as a Boy scout leader and a youth football coach.